On Monday, when Hogan called for an investigator with subpoena power to make schools statewide more accountable, one of the localities he zeroed in on was Baltimore County. Hogan said there have been calls for an investigation of interim School Superintendent Verletta White and her predecessor, Dallas Dance. “Regarding both of them being paid and failing to report being paid by the firm that received more than 200 million dollars in contracts for the purchase of digital devices and software,” Hogan said. White said she was not paid by firms with contracts with the county, but by a consulting company that represents those firms. White said she made an honest mistake by not reporting the income. Hogan and Kamenetz have been feuding for years over schools. So no surprise that in an election year, when Kamenetz is running for Hogan’s job, the beat would go on. Kamenetz said the governor is being irresponsible. “There is absolutely no evidence whatsoever that has been brought to my attention that there is criminal activity afoot with the use of these ipads,” Kamenetz said. Hogan also cited alleged grade tampering in Prince George’s County and financial mismanagement in Baltimore City when making his case for an investigator general. Baltimore County Democratic State Senator Jim Brochin called the governor’s proposal a fantastic idea. White plans to have an independent audit of county school purchases. Baltimore County Democratic Delegate Steve Lafferty agrees with that keep-it-local approach. “It rests with the school board to address those kinds of complaints and concerns without the state stepping in and providing another investigator,” Lafferty said. Lafferty and Brochin, respectively, are chairs of the county’s house and senate delegations. Both received a letter from four county school board members asking for an additional state review of county school contracts dating back to 2012. But the legislators also got a letter from the chairman of the school board making it clear that was a request from only those four members, not the 12 member board. Brochin said the county senate delegation plans to take up the request Friday. Meantime, Kamenetz is in his last year as county executive, so this is his last legislative session acting as pitch man for Baltimore County. Kamenetz is calling on the governor to provide more money statewide for school construction. “So if the governor puts in $280 million, well I have to tell you. In Baltimore County we’re spending $150 million a year in our county alone,” Kamenetz said. Kamenetz said the number statewide should be $400 million. In his news release detailing his legislative wish list, Kamenetz criticized the governor for things like vetoing the paid sick leave bill and killing the red line project. Goucher College political science professor Mileah Kromer said it shows Kamenetz pivoting from county executive to gubernatorial candidate. Kromer said Kamenetz can use his position to create a juxtaposition between himself and the governor. 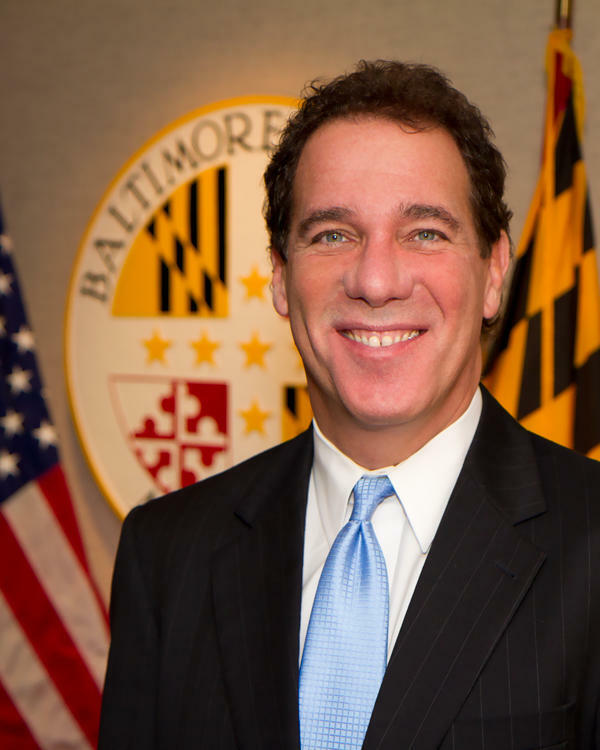 A Gonzales Maryland poll shows Kamenetz has his work cut out for him. It gives Hogan a 14 point lead over Kamenetz, and the county executive needs to first win the hotly-contested Democratic primary.